Women In Retail Leadership Circle | A New Member Perk to Help You Manage Your Marketing Tech Stack! A New Member Perk to Help You Manage Your Marketing Tech Stack! Hey Women in Retail Leadership Circle (WIRLC) members, we’re super excited about a new partnership we just formed, and I want to tell you all about it! WIRLC is partnering with CabinetM, a Boston-based technology company that has developed a platform that helps companies manage the marketing technology they have as well as find the technology they need. More specifically, with CabinetM, marketing teams can collaborate around tracking and managing the details of all the technology being tested and in use in their marketing tech stacks, and then work together to optimize their technology stack to ensure that business and marketing objectives are being achieved. Currently, CabinetM’s marketing technology database houses more than 8,000 products across 300-plus categories, and it’s growing. 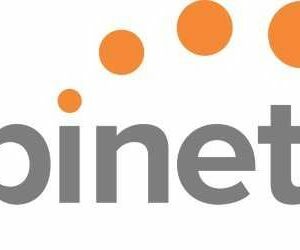 This partnership with CabinetM makes sense because we know that our sophisticated retail members are constantly evaluating and re-evaluating their technology stacks. CabinetM lets them do just that, along with offering solutions to reduce technology spend, eliminate redundant technology efforts and collaborate on technology along the way. CabinetM has created a Women in Retail Leadership Circle community account to provide our members with a way to share information about the marketing technology they use. The WIRLC community account will foster peer exchanges regarding technology, and will be a valuable tool in defining and qualifying the adaption of new technology. WIRLC is also offering its members a free, single-user version of a one-year CabinetM membership. For members who are interested in implementing the platform, CabinetM is extending a significant discount and providing onboarding for your team at no cost. Members, if you have any questions about this partnership, please reach out to Jennifer DiPasquale at jdipasquale@napco.com. If would like to learn more about CabinetM, please click here. To take advantage of this great opportunity, you have to be a WIRLC member! For more information about joining the Circle, please go to our website. New Associate Member Spotlight: Jami Dewolf, SVP, Chief Marketing Officer, Alliance Data Retail Services Lesley Jane Seymour on Her Online Community Kindred 6 Gems From WIRLS That Were NOT in My Swag Bag BaubleBar Partners With FoodKick on a Fun Partnership!